Use this form to request an estimate of your roofing project or repair. Our staff will contact you shortly and schedule a time to visit your property for evaluation. You can also call our office, send a fax or email at any time. 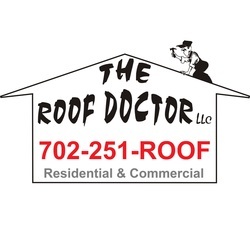 We look forward to hearing from you at the Roof Doctor! disposal of the old materials and clean-up necessary after the job is complete. We work hard to offer our clients the most reasonable and competitive prices in the Las Vegas valley, but we also strive for the highest quality in our work, without cutting corners, so it wont have to be done again. Contact us for your estimate today and see what The Roof Doctor is all about. We look forward to hearing from you!